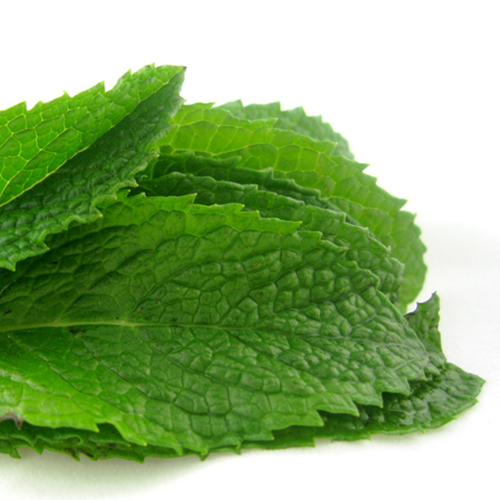 Mint is a generic term for a family of herbs that includes peppermint, marjoram, oregano and others. The high antioxidant content of mint is thought to reduce the effects of oxidative stress, and mint consumption may prevent or treat many conditions and diseases. Polycystic ovary syndrome (PCOS) is the most common cause of female infertility, and is characterized by excessive male hormones that result in hirsutism, menstrual irregularities, and ovarian cysts. In one study, two cups of marjoram tea a day for a period of one month produced beneficial effects on the hormonal profiles of women. But the study did not last long enough to confirm that actual symptoms improved. What is known about PCOS is that reducing one’s intake of dietary glycotoxins may help prevent and treat the disease. Treating irritable bowel syndrome (IBS) with peppermint oil has also been tested. Nine randomized placebo-controlled studies have found peppermint oil to be a safe and effective treatment for IBS when compared to medications that carried significant costs and side effects. Laboratory studies have demonstrated the ability of oregano to reduce the DNA-damaging effects of radiation, but the effect of oregano in actual human beings (in vivo) has not been studied. Excess body hair in women, called hirsutism, is caused by excess testosterone. Because of the anti-androgenic effects of peppermint tea, women who drink two cups of peppermint tea a day may experience a drop in free testosterone levels by approximately 30%. Caution is recommended however, as heavy mint consumption may adversely affect sexual health by lowering libido. Image Credit: Darya Pino / Flickr. This image has been modified.